Every person’s born with a unique potential. Different people have different abilities. Many work their socks off to secure good marks in exams while others don’t and yet manage to do the same thing in examinations. The first three ingredients highlighted above depend completely on your mentality. But how can you achieve “smart and organized work” to maximize your efficiency? It’s one of the primary keys to achieve a successful rank in examinations. We’ll see to that in this article. Let’s go back to the basics at the start. Just go through your entire syllabus right before an examination. Did you miss out on a few things here and there? No? 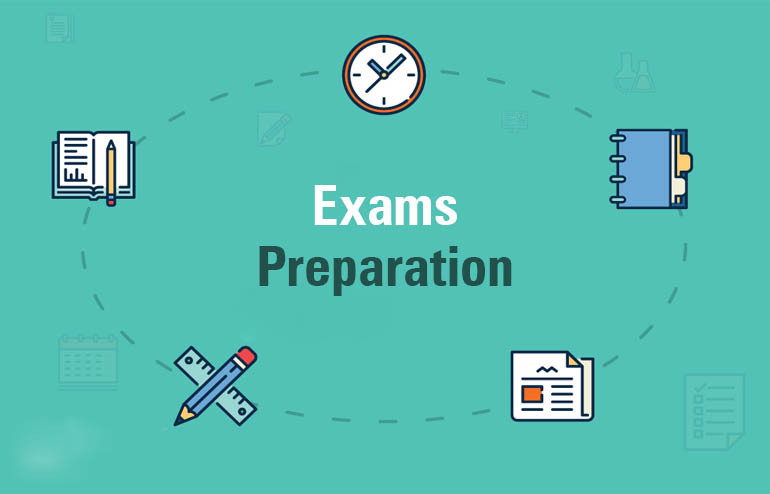 Just make sure that you double check every nook and corner of it to ensure that you have covered everything that’s going to come in your upcoming examination. There have been many cases where students complained that a particular question had come out of syllabus. Hence, they had to skip it and jump over to the next one. In most of these cases, it has been found that the question did come right out of syllabus. The students just missed it by an inch. Make sure to the best of your knowledge that you don’t face the same issue in your examinations. At the time of your exam preparations, you have to remember that your time’s short and every second is equivalent to gold dust. You have to do the maximum within minimum time. Organization’s the key. Hence, it’s necessary for you to create a study goal. What do you want to accomplish within this session (say a period of 45 minutes)? Be realistic in your goals and try to stick to your goal as much as possible. You’ll maximize your productivity in no time. Put all your notes and lectures in order and close by. Get all your gears together as well and keep it close by in case you need to practice with the same. E.g. if it’s a geography exam, make sure you keep your toposheets and maps nearby so that you don’t miss out on practicing any of them. Keep your syllabus nearby in case you want to double check certain things on it. Different subjects require different study techniques. You have to adjust accordingly. For example, subjects such as mathematics require practice to get familiar with the processes involved. You must not memorize mathematics or read math in anyway. You have to solve sums on a piece of paper to improve your problem-solving abilities. Subjects such as literature or history on the other hand require memorization and information synthesis. You have to adjust your study techniques on basis of that. In this techno-oriented world, you just have to implement a few of these wonderful creations of men in your exam prep to maximize your efficiency. Vimeo and YouTube have made it incredibly easy for people to share instructional educational videos online for public viewing. These videos are absolutely free of any cost. Why don’t you take advantage of these? If you face any doubt anywhere, you can always “Google” your doubts on the internet to get a proper solution. YouTube instructional videos can benefit you in that aspect tremendously. Your audio options include things like audio-books, lectures, instructional podcasts etc. You can find them in bunches on the internet. Use them as per your requirement. Your mobile devices will come in handy for this task. Mock tests play a significant role before an examination. Now you have the comfort to give these mock tests from the comfort of your very own drawing room saving you both time and money. Some of these apps can also clear several doubts of yours related to a particular examination and can also give you a comprehensive learning experience. eReaders give you an inexpensive platform to study eBooks and their pdf counterparts on your mobile devices. With the aid of these apps, you can carry a soft copy of your book anywhere with you and read it any time you wish. Like the name suggests, note taking apps aid you to take quick notes in classes. Many students find it real difficult to take appropriate notes in classes because they usually lose the flow of the lectures at some point. Note taking apps can help you with that. These apps give you the option to write manually on it or integrate with other related media; such as online videos or an online article. Some of these apps also give you the option to scan documents on it. Flash cards help you in getting a quick view of something important in the blink of an eye. By keeping certain terms or formulae under your nose, you would be able to memorize them quickly and effectively. Say for example, you have an English test tomorrow. Write a few of those confusing words on your flash cards along with their meanings. Keep them close by and in easily noticeable places. Refer to them from time to time. Studying all day for hours at a stretch is NOT advisable in any way. Because you are going to exhaust yourself tremendously though that tactic resulting in poor performance and poor retention of information. A 20-30 minute session followed by a 5 minute power break is advisable. Think of those 5 minutes as ones having high ROI (return on investment). By keeping your sessions fresh after a 5 minute break, you are definitely going to maximize your productivity immensely. Just be positive and confident enough in your approach and you’ll definite see the positivity reflecting in your final results. We wish you the best of luck for your upcoming exams!